Click here to see an example of a priority listing. Click here to list your business or call us on (03) 9775 3200 to discuss your advertising options. 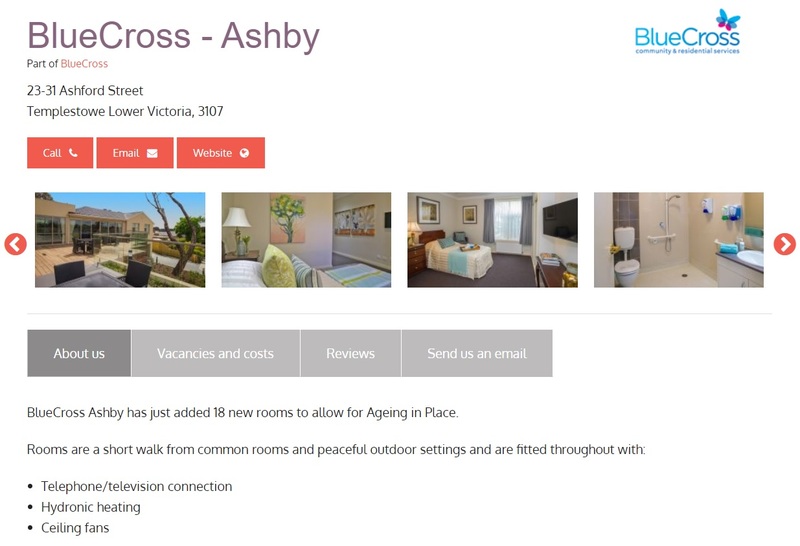 Aged Care Online was the first website in Australia to introduce the Bed Vacancy Register for the aged care industry. As an aged care provider, you can post your permanent and/or respite vacancies on your profile and people looking for placement can enquire online. 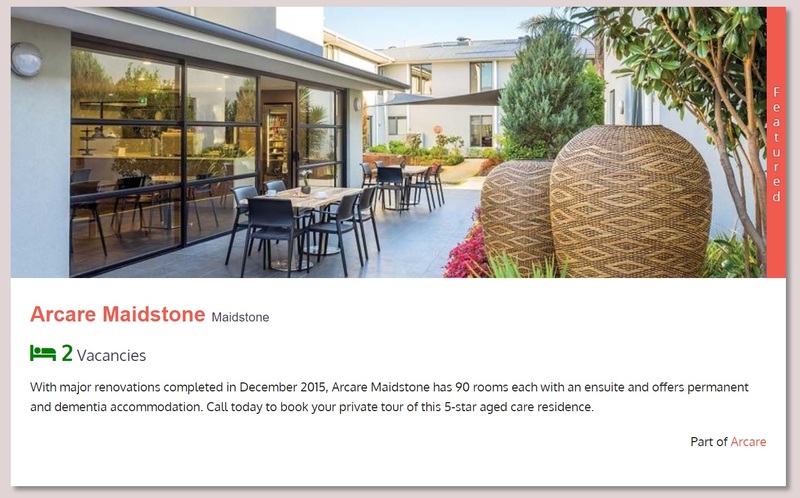 These enquiries are emailed directly to you and also kept in the Aged Care Online website for reference at any time. You can change and update your bed vacancies, room descriptions, RAD/DAP & images at any time by logging into your Aged Care Online profile. 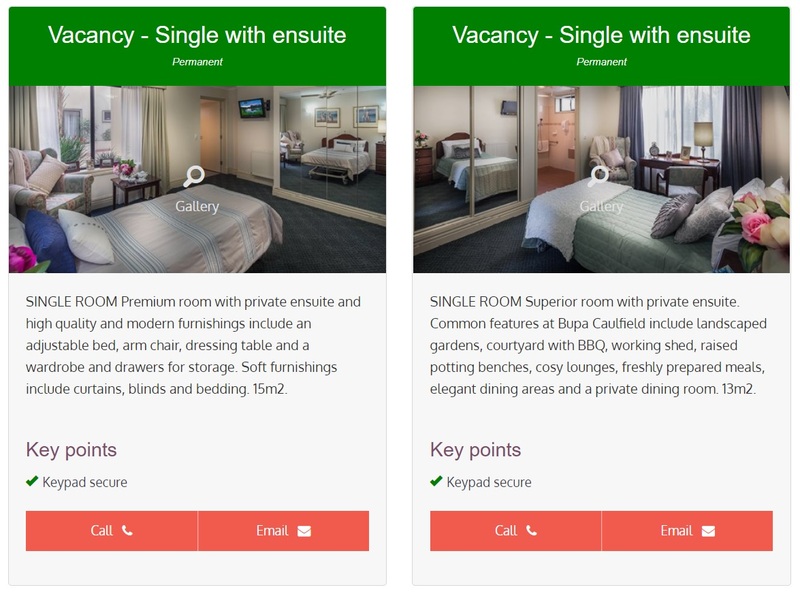 Click here to enquire about the room/vacancy register. Featured listings are suitable for short, medium or longer term campaigns and are scheduled on a 'first in best dressed' basis. Click here to enquire about featured listings. 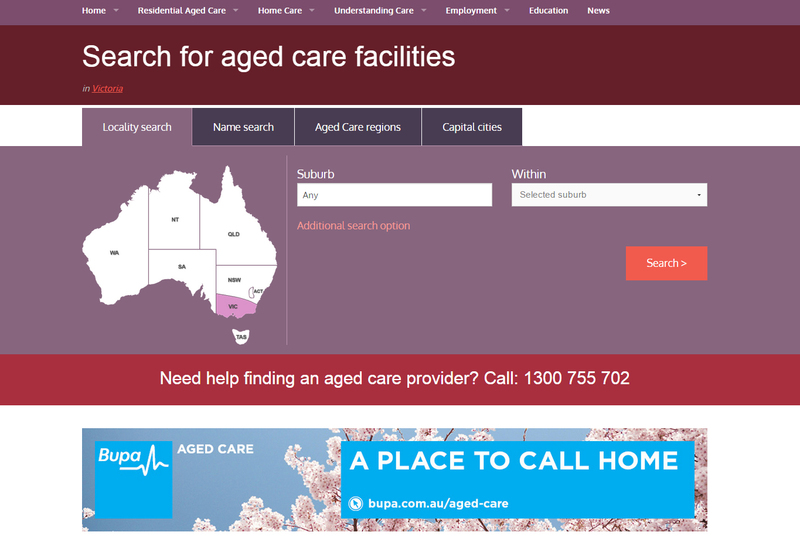 You can promote your aged care facility or organisation on our highly trafficked pages on our website with a customised banner campaign. These banner campaigns can draw attention to a specific facility or service or event you wish to promote online for branding and/or sales purposes. Click here to enquire about banner advertising. 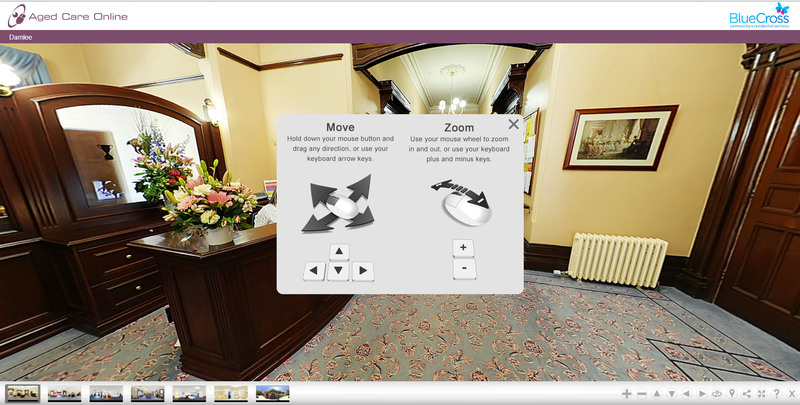 Showcase the best elements of your aged care facility with an Aged Care Online 360° virtual tour. All virtual tours can be branded for your own website. Virtual tours will assist you in increasing public awareness, online traffic, quality leads and in-person visits. Click through to view a standard virtual tour and here to see a branded virtual tour. Click here to enquire about virtual tours. We have introduced an aged care review system to assist consumers who are weighing up their residential aged care options. Aged care reviews will provide potential residents and their families with valuable insights and information on your aged care facility. Click here to find out more about aged care reviews.